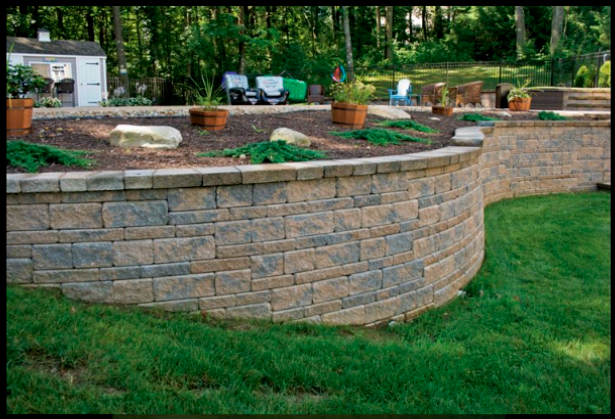 St. Louis Retaining Wall Builder. 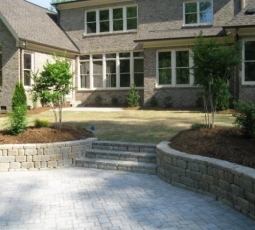 Our Company Exceeds Expectations. 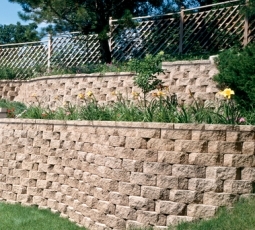 Home » St. Louis Retaining Wall Builder. 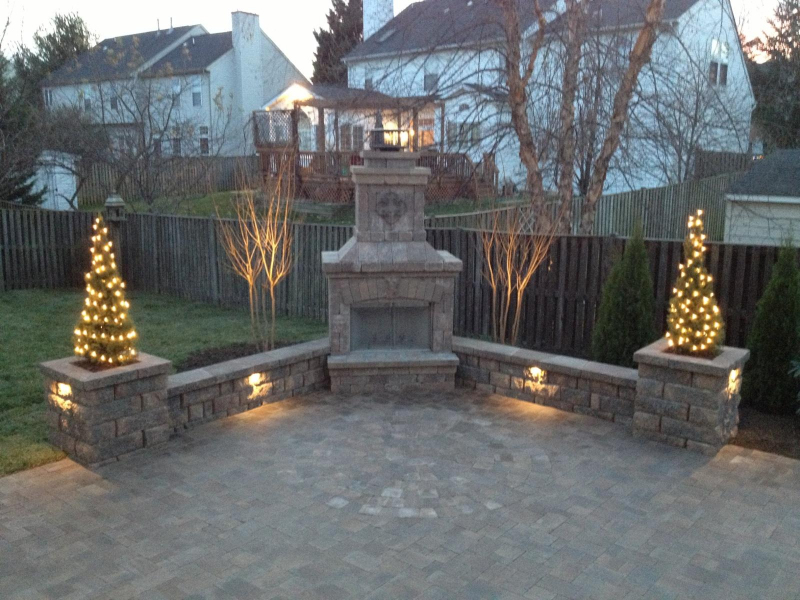 Our Company Exceeds Expectations. 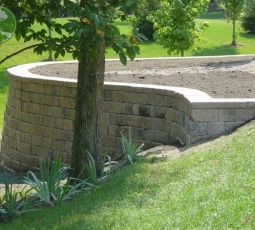 For over 27 years Labor Tech Landscaping has provided retaining wall services to the St Louis area. 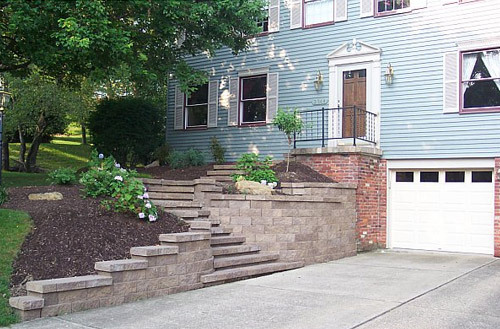 We’re a company that values having a strong communicative relationship with our customers and their needs. 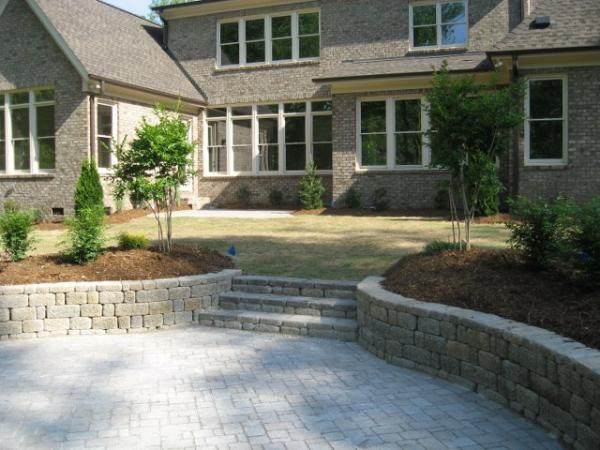 Our services bring beauty and value to your home and make your property stand out. 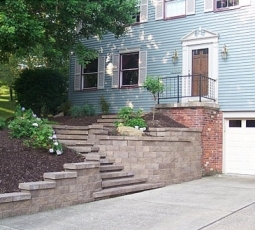 Our staff strive to not only meet your needs but to exceed your expectations. 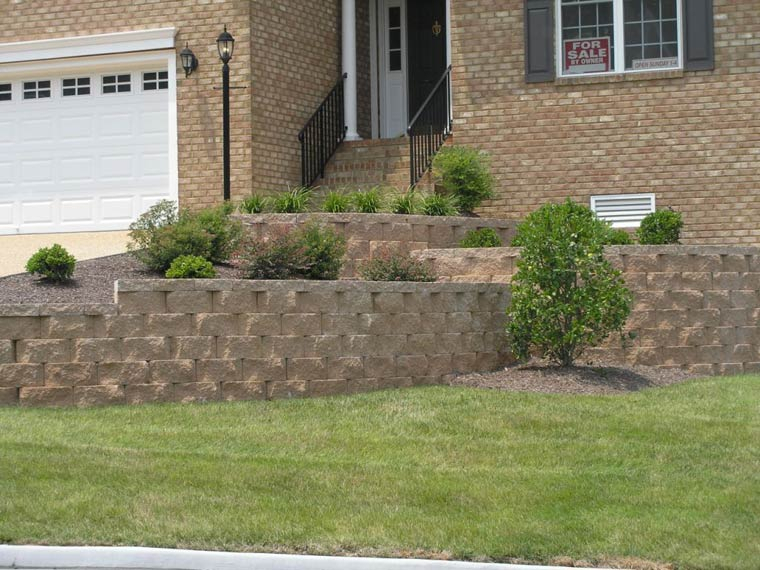 We pride ourselves on our ability to construct your retaining wall right the first time, perfection is not an option, but a necessity that we aim to meet. 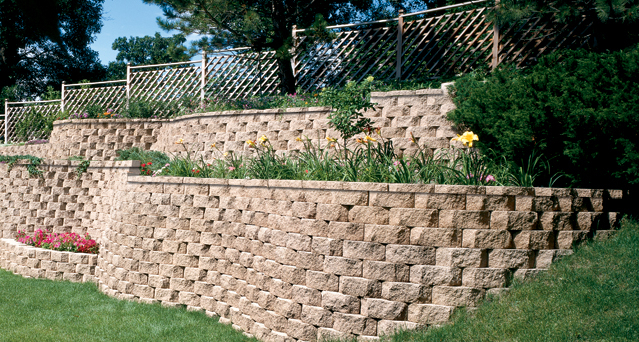 From large retention walls to residential garden walls, we can help you find the best fit for your property. 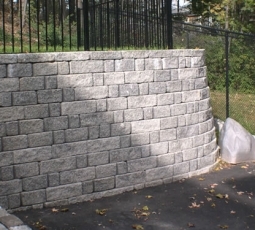 We believe that not all retaining walls are created equal, part of our business is repairing the collapsed walls of our competitors and those do it your selfers who took on too big a project. 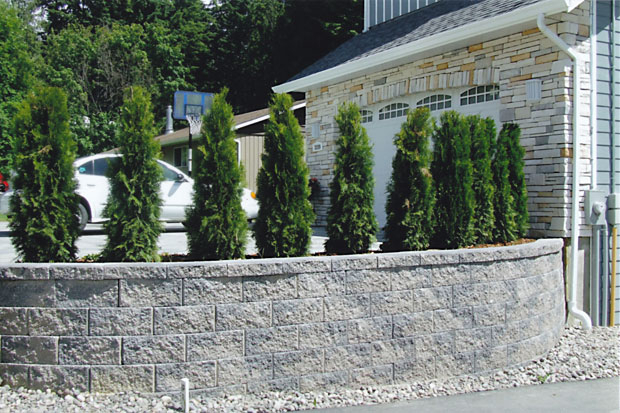 Proper site evaluation and planning is needed to assure that retaining walls are built to withstand hydrostatic pressure and forces of nature on a daily basis. 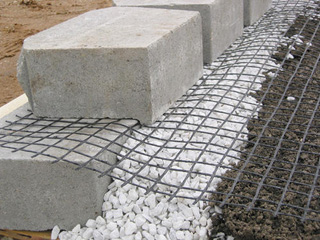 It’s also important to consider human factors such as how the site will be utilized and any plans for future construction or renovation (which can add more pressure to the wall). 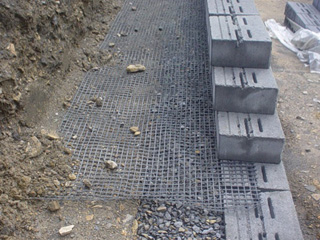 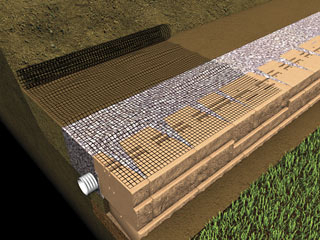 Retaining Walls can fail for several reasons such as poor drainage, the incorrect amount or type of back fill, neglecting to use geogrid, poor compaction or laying the base incorrectly and selecting the wrong type of block. 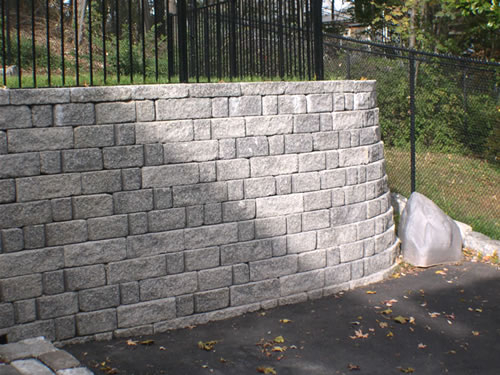 If a Retaining Wall is failing, having it repaired can be costly as it requires the wall to be carefully torn down and rebuilt. 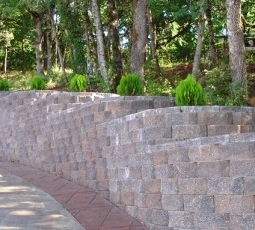 Here at Labor Tech Landscaping. 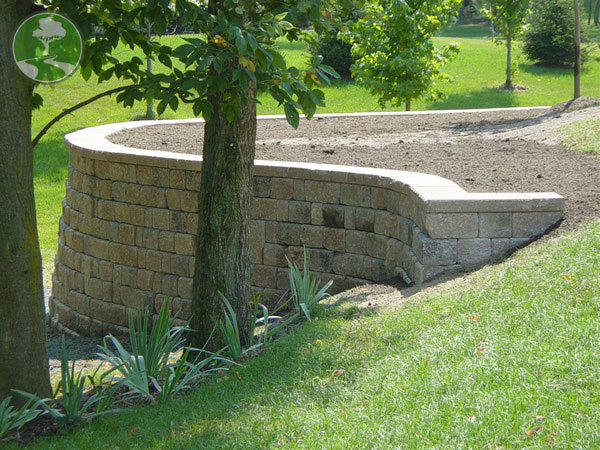 we use nothing but the finest materials and our own proprietary building system to ensure that your retaining wall is fit to last a lifetime. 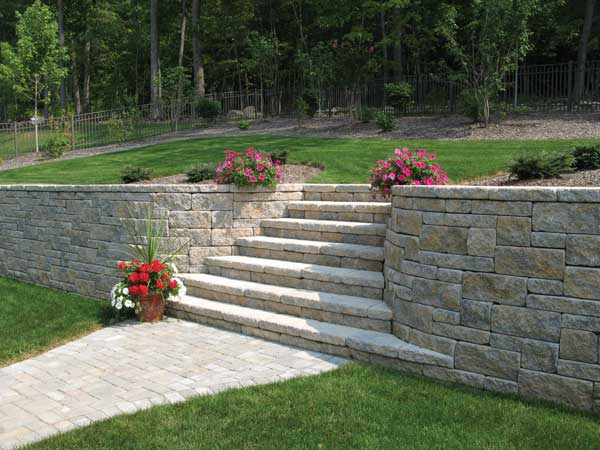 Common uses of natural stone are decorative columns, steps, sidewalks and garden walls. 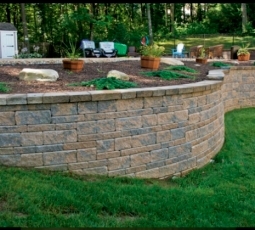 Natural stone retaining walls are normally dry stacked meaning we don’t use concrete as it may eventual crack and look bad. 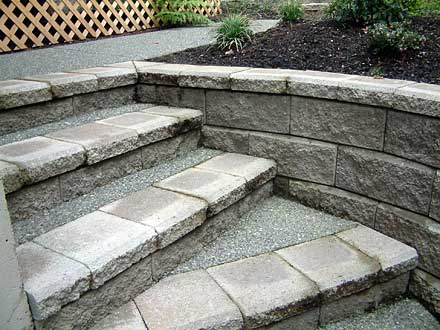 The most common materials used are granite, limestone, flagstone and fieldstone. 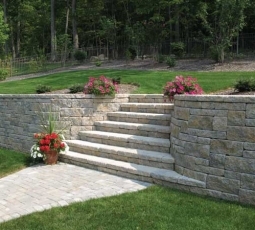 Larger slabs of natural stone can be used for retention walls though mostly its used for esthetics to achieve that earthy green landscaping look. 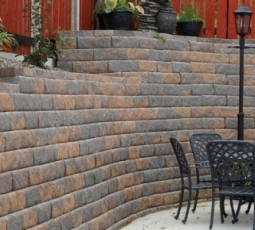 Because concrete block retaining walls are fabricated, there are many different patterns, colors and sizes to choose from. 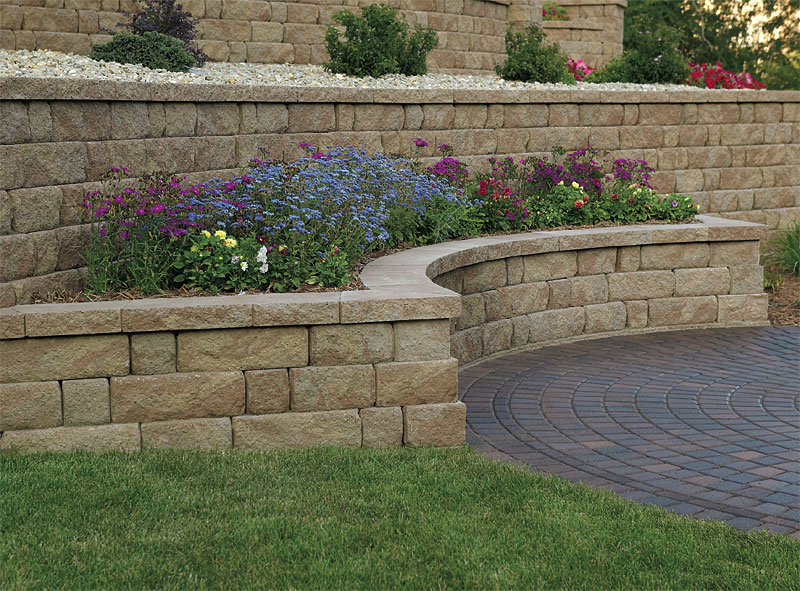 There are three main manufacturers that we deal with and they all have their own unique product : Belgard, Pavestone, and Versa-Lok. 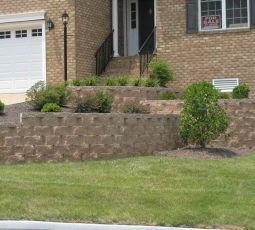 How much do retaining walls cost ? 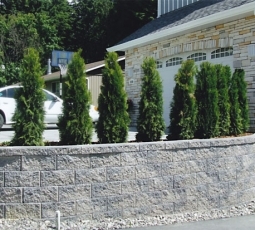 There no straight answer for that question as there are many variables that go into Retaining Wall Installation such as the price of the block you select. 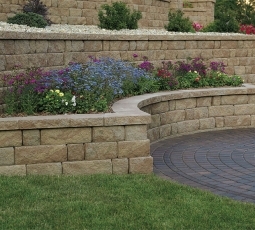 With that being said, I know we don’t up charge on material like some companies do and we operate by word of mouth so having lower marketing cost means we are able pass the savings onto our customers. 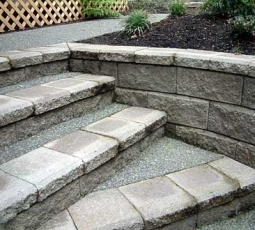 If you get quotes from other reputable retaining wall companies we will most likely have the lowest price.